Laguna Beach has a population of about 23,250 and some 4 million-plus visitors every year. Which agency listed below has the most control over our visitors? 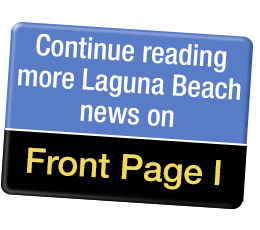 Do you favor allowing Laguna Beach homeowners to have short-term (30 days or less) rentals? We have many great traditions here in Laguna. Which would be your favorite? My favorite isn’t on this list! If you had no choice but to leave Laguna Beach tomorrow to live in one of the following cities, which would you choose? Did you stay home - or leave town? Did you go downtown and watch? Were you marching in the Parade? Laguna Beach is a college town, home of one of this country’s leading art colleges, LCAD. Have you personally ever visited the campus to check it out? If you could live in Laguna for nine months out of the year and “somewhere else” for the other three, would you choose to do that? Yes - the crowds are too much in the summer! No way - I wouldn’t give up my summers in Laguna for anything! Is the city’s proposed ordinance to allow only non-profits to deliver medical marijuana to cardholders over-burdening to those who need it? Will The Donald be the GOP nominee? What’s your primary thought? Are you in favor of euthanizing dangerous coyotes as a last resort? Where will you do most of your holiday shopping? There will be no gifts from me this year! Now be honest … What do you really like the most on Thanksgiving? The holidays are near. If you could choose one of these four ‘gifts’ for Laguna Beach, which would it be? You’re in a hurry and really hungry. How likely are you to just jump in line and grab a burger or some similar fast food and be on your way? Would you support increasing taxes on the rich in order to reduce interest rates for student loans? The National Weather Service and our Dennis McWeather have referred to the predicted El Niño for this fall/winter as a major event. Do you expect heavy rains? There is a proposed ballot measure for the 2016 general election aimed at making California the fifth state to legalize recreational use of marijuana. Where do you stand on the issue?